We are all familiar with the notion of Hollywood as a seedy source of sleaze, especially given this week’s headlines. If you’ve read my work, you know movies have been a tool of propaganda for a long time. Propaganda in films includes multiple layers of subtle messages, social engineering agendas, marketing and advertising strategies, as well as “nudges” (to use Cass Sunstein’s phrase). Little has changed since those days, aside from a concentration of power by a single ruling oligarchy in the U.S. As for film and production studios’ scandals involving murder, drugs, extortion and the concocting of various shells and fronts for money laundering persist – which sometimes even involves fake film studios (something I noted in my book in regard to the famed instance portrayed in Argo). With all of this in mind, we can even view the recent revelations of the Pentagon’s influence in over 1,800 movies and televisions shows9 in a new light: not only are Hollywood moguls colliding with intelligence agencies, but agents and moguls are still colluding with mobsters – as if the collusion itself were a kind of Hollywood movie. Indeed, last week saw the release of American Made, a film starring Tom Cruise portraying the life of CIA drug-trafficker Barry Seal. 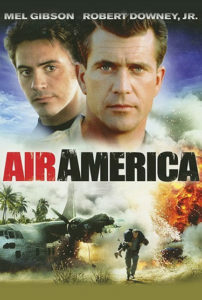 The film brings to mind the 1990 action comedy Air America starring Mel Gibson and Robert Downey, Jr. – also about the CIA’s drug airlines, all painted in nonchalant comedic whitewash. What the film barely hints at, and fails to make clear, is Seal’s longtime work trafficking the arms and drugs for the CIA (not merely arms). 1 Sally Denton and Roger Morris, The Money and the Power: The Making of Las Vegas, pg. 32. 2 Rasmussen, Celia.”History of Hollywood Madames is Long and Lurid.” LA Times, Nov, 1997. 3 Connolly, Kieron, Dark History of Hollywood, pg. 159. 4 Smith, Dakota, “LA Film Studio Was Cover for FBI Sting,” Huffington Post, Nov, 2013. 5 Child, Ben. “UK Film Executives Charged with Tax Fraud.” Guardian, May, 2013. 6 Killday, Greg. 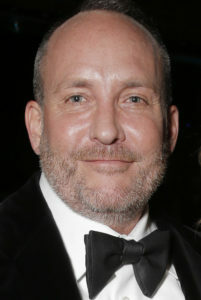 “Producer Christopher Eberts Sentenced to Nearly 4 Years in Prison,” Hollywood Reporter, July 2015. 7 Blankstein & Winton, “Movie Execs Charged in Money-Laundering,” LA Times, July 2006. 8 de La Fuenta, Anna Maria, “Narcos Location Scout Shot and Killed in Mexico,” Variety, Sept, 2017. 9 Alford & Secker, “Documents Expose How Hollywood Promotes War on Behalf of Pentagon, CIA & NSA,” medium.com, July, 2017. 10 Alford, Matthew. “Body of Lies: The CIA’s Involvement with US Filmmaking,” Guardian, Nov, 2008.